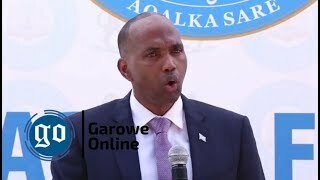 MOGADISHU, Somalia - Somali government troops raided the home of a prominent Senator, Abdi Hassan Awale known as "Qeybdid" in Mogadishu on Saturday, Garowe Online reports. 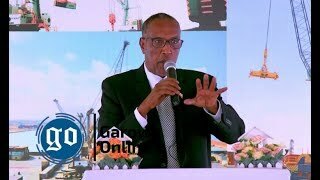 Speaking at a press conference in Mogadishu, Abdi Qeybdid told reporters that heavily armed forces broke into his house and subsequently disarmed the security guards inside without legal authorization. Qeybdid said the government forces searched the entire rooms of his house, roughed up everything and confiscated his wife and daughter's mobile phone, as well as the guns of the guards. He added that he had not been at the residence at the time of the attack which took place at around 1:20 p.m. local time. 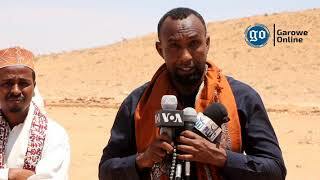 Continuing, the Senator stated that he was telephoned by the Benadir regional intelligence head Sadaq John, informing him that the soldiers that attacked his home were not from NISA, but the UAE trained. 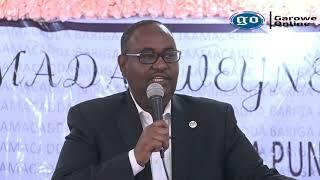 Abdi Qeybdid who is the chair of the joint parliamentary Constitutional Review Committee (CRC), has condemned the assault as unlawful, demanding answers on the incident from the Federal government of Somalia. "It's unfortunate John's remarks misleading the scenario of attack when saying UAE-trained soldiers were responsible for the raid on the Senator's residence. 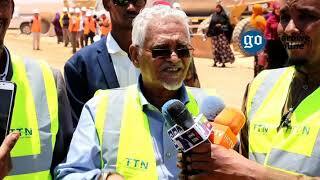 It's an act aimed to create a political turmoil," said a Somali Senator who spoke to GO under a condition of anonymity. Units of Somali National Army [SNA] had been trained at the UAE-funded Gordan military training center in Mogadishu as part of UAE's continuous efforts in training and rebuilding the Somali Armed Forces. 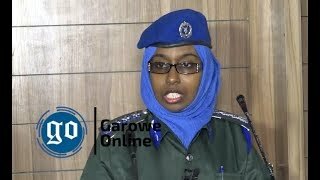 Meanwhile, Somali President Mohamed Abdullahi Farmaajo had ordered the chief of Somali National Army [SNA] Major General Abdiweli Jama Gorod to promptly investigate into the illegal act against the Senator’s house and asked those responsible to be held accountable. The State Media reported that 40 soldiers and two commanders were arrested and taken into custody in connection with the raid. It's yet unclear who gave the order to attack the Senator's house.